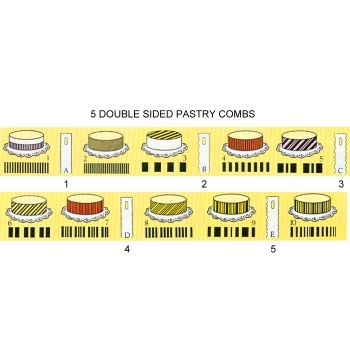 Professional Pastry Comb Set for creating spectacular line patterns for decorating mousse cakes. This unique Comb Set includes 5 "double-sided" combs for a total of 10 different comb patterns. Holding Frame is crafted from polished stainless steel. Pattern Combs are made of flexible rubber. The chart illustrates the patterns of each comb. 1) Apply a thin layer of Decor Paste to a Silpat. 2) Select the desired Pastry Comb pattern, then comb through the applied decor paste to achieve desired line effect. 3) Freeze Silpat with pattern. 4) Then apply Backing Sponge. 5) Bake. 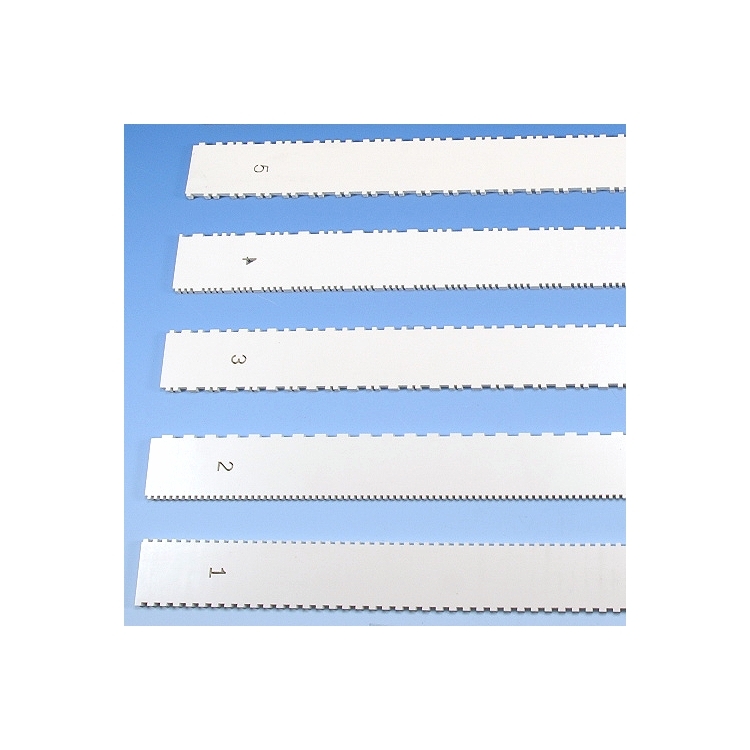 Cool, Cut into long strips to line cake ring molds. 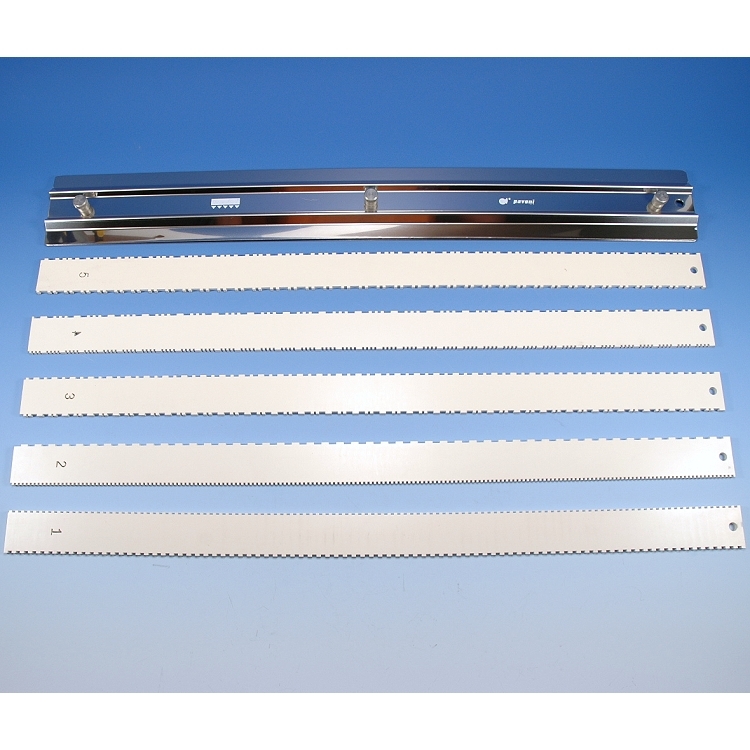 Length 27 1/2", width 4" / teeth are 2mm high.